This is how they play now. 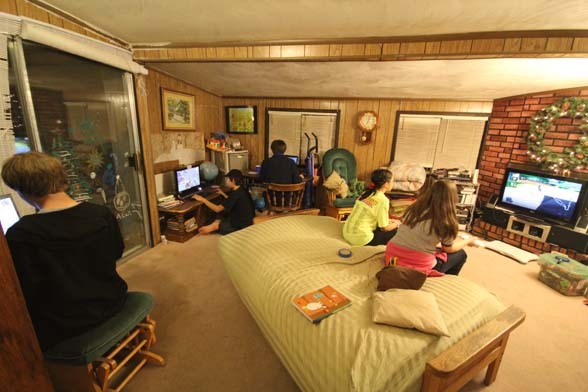 5 kids, all sitting in front of a screen! Actually, there are six kids here- one is playing an interactive game with 3 of the others via Skype, from a far-away location. Amazing. Yet, to listen to them, one finds it is a very interactive way to play. Still, I may not ever get completely used to how many screens we humans use today, and the length of time we spend sitting in front of them.